A compact de-bulbing machine which removes the bulbs carefully from the flower. The Horizontal De-bulber retains maximum stem length of the flower without damage. The careful laying out of flowers is no longer necessary. The placer positions the flowers with bulb horizontally on the belt. Then the de-bulber takes over and the innovative aimer takes care of the aligned positioning of the bulbs. Thanks to the automatic placement in the right position, it is possible to de-bulb the flowers swiftly and accurately. The de-bulber can be programmed per flower type. 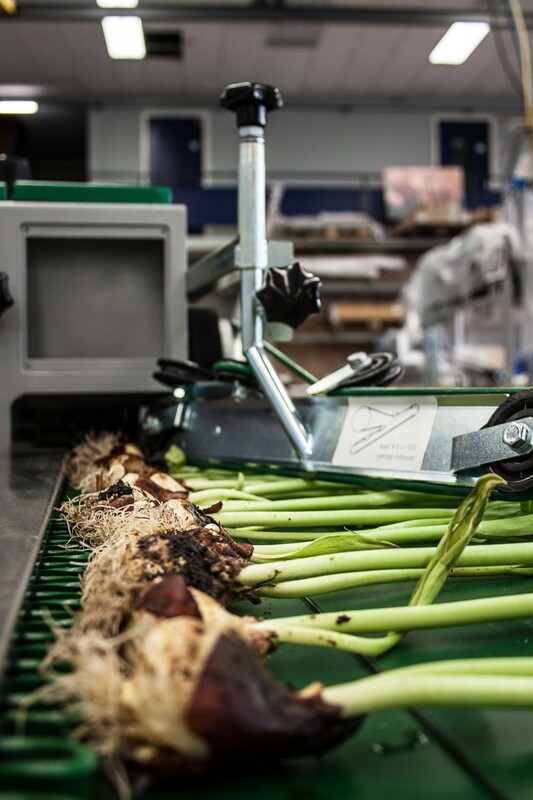 The bruising wheel can be programmed so it applies the right bruising for every type of flower bulb. This ensures maximum stem length with retention of stem quality. The Horizontal De-bulber is suitable for tulips grown in soils and in water.